Salmon are anadromous (they are born in fresh water, migrate to the ocean, then return to fresh water to reproduce). However, populations of several species are restricted to fresh water through their lives. Folklore has it that the fish return to the exact spot where they were born to spawn; tracking studies have shown this to be true, and this homing behavior has been shown to depend on olfactory memory. 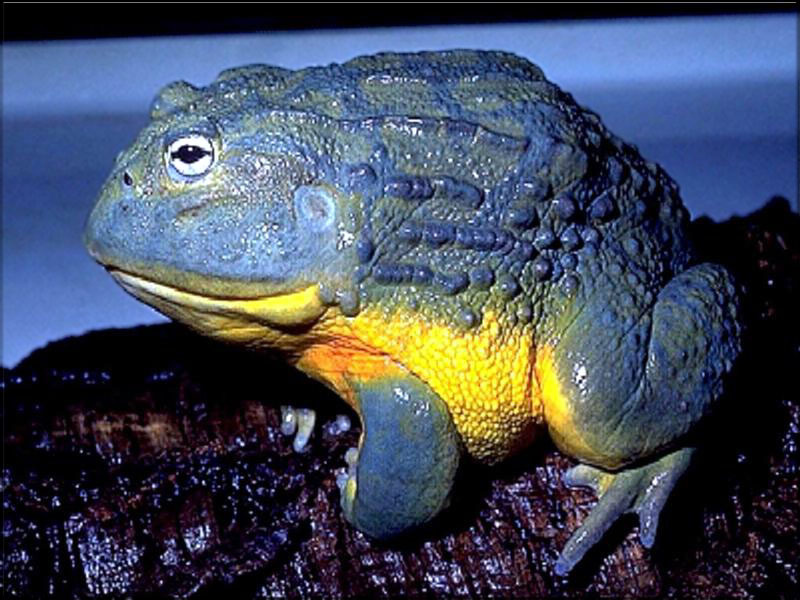 The American bullfrog (Rana catesbeiana or by some authorities as Lithobates catesbeianus) often simply known as the bullfrog in Canada and the United States, is an aquatic frog, a member of the family Ranidae, or “true frogs”, native to much of North America. This is a frog of larger, permanent water bodies, swamps, ponds, and lakes, where it is usually found along the water's edge. 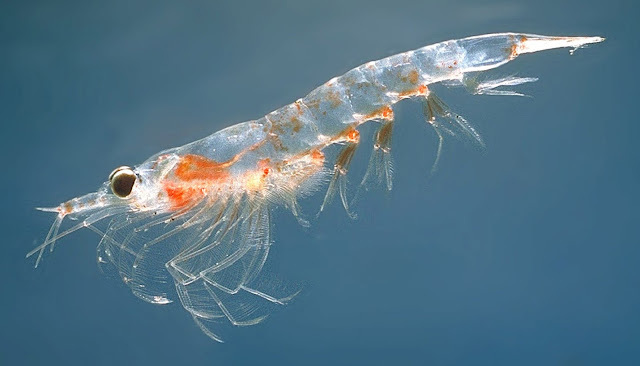 Krill are small crustaceans of the order Euphausiacea, and are found in all the world's oceans. The name krill comes from the Norwegian word krill, meaning "young fry of fish", which is also often attributed to other species of fish.Many krill are filter feeders: their frontmost appendages, the thoracopods, form very fine combs with which they can filter out their food from the water. 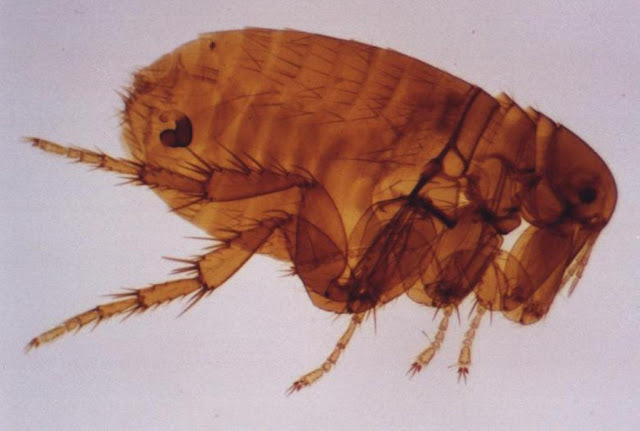 These filters can be very fine indeed in those species (such as Euphausia spp.) that feed primarily on phytoplankton, in particular on diatoms, which are unicellular algae. Krill are mostly omnivorous,although a few species are carnivorous, preying on small zooplankton and fish larvae.